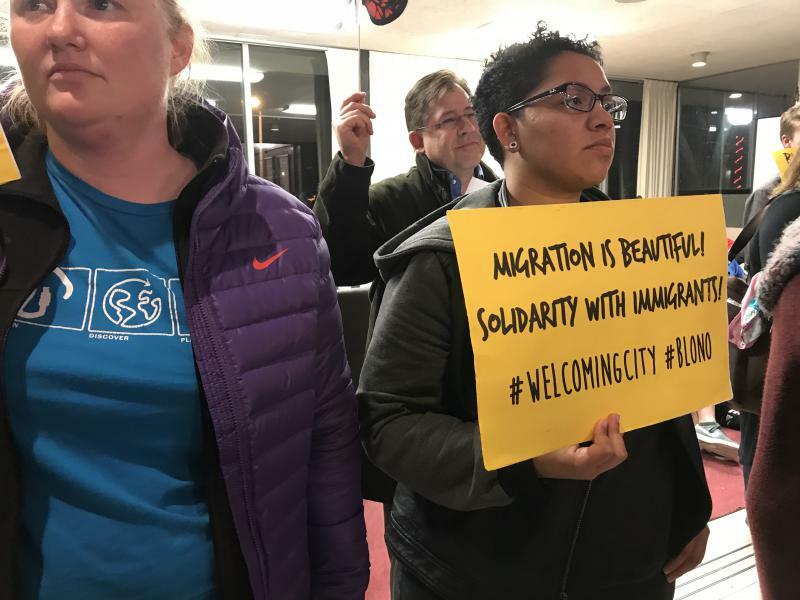 Local activists push for a Welcoming City ordinance at the Bloomington City Council meeting on Monday, Nov. 27, 2017. Hear an excerpt of the interview with City Managers Peterson and Rasmussen. Hear the full Sound Ideas interview with Rasmussen and Peterson on a possible Welcoming City ordinance. 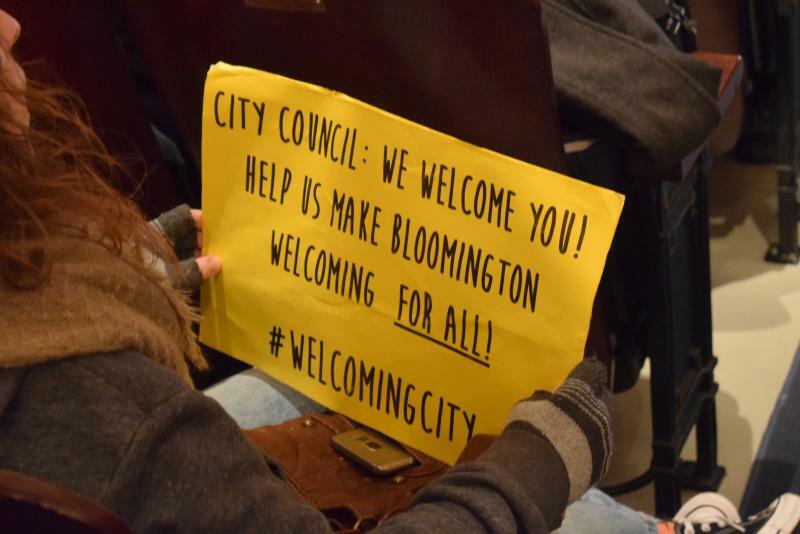 Nearly 300 people—mostly supporters—turned out to a Bloomington City Council meeting Monday dealing with a proposed Welcoming City ordinance. The Mayor of Normal is not enthusiastic about a formal welcoming cities ordinance. Area groups marched on Bloomington City Hall this week asking for an ordinance to limit local government cooperation with federal immigration and customs enforcement, or ICE. Mayor Chris Koos of Normal said he supports keeping immigrant families together, but not through that method.